Imperial Chemical Industries (ICI) Works, Ardeer. Oblique aerial photograph taken facing north. Oblique aerial view centred on the footbridge and breakwaters with the visitor centre adjacent, taken from the NNE. 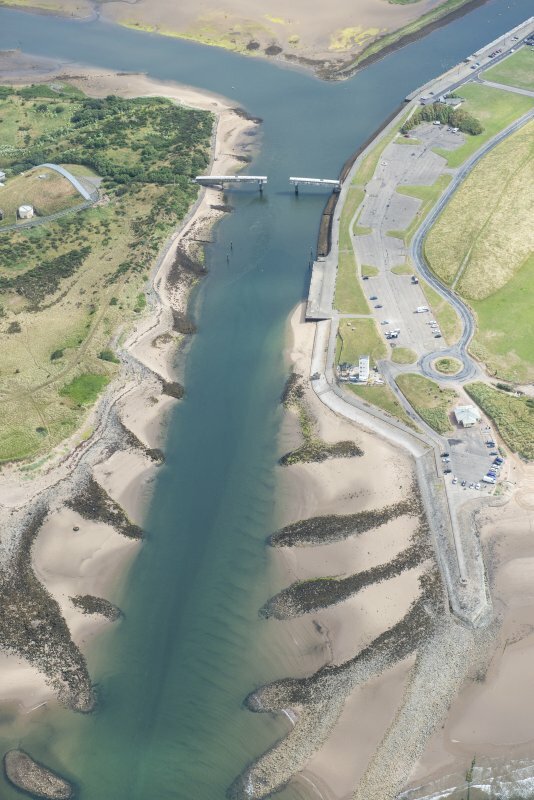 Oblique aerial view centred on the footbridge and breakwaters with the visitor centre adjacent, taken from the NE. For associated Bridge of Scottish Invention (across Irvine harbour entrance, at NS 30518 38186), see NS33NW 254. A modern exhibition centre built on the southern tip of the Ardeer Peninsular [Peninsula], formerly occupied by Nobel's Explosives Ardeer Factory. 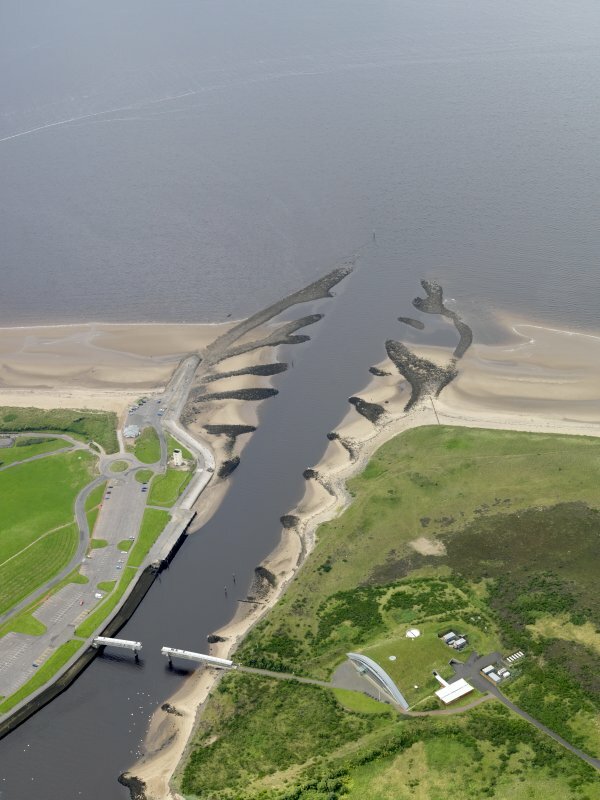 It is situated across the mouth of the River Irvine from the town of Irvine, to which it is connected by a retractable footbridge known as 'The Bridge of Scottish Invention'. The Big Idea was established with 14 million pounds of Lottery funding from the Millennium Project, and opened on 15 April 2000. Information from RCAHMS (MKO). 2001. A field survey of the tip of the Ardeer peninsula outside the limits of the Nobel / ICI explosives factory at the confluence of the River Garnock and River Irvine in advance of a proposed development. The proposed development area of 9 ha is located on an area of natural estuarine deposits and sand dunes that have been artificially enclosed and infilled with dredge material. 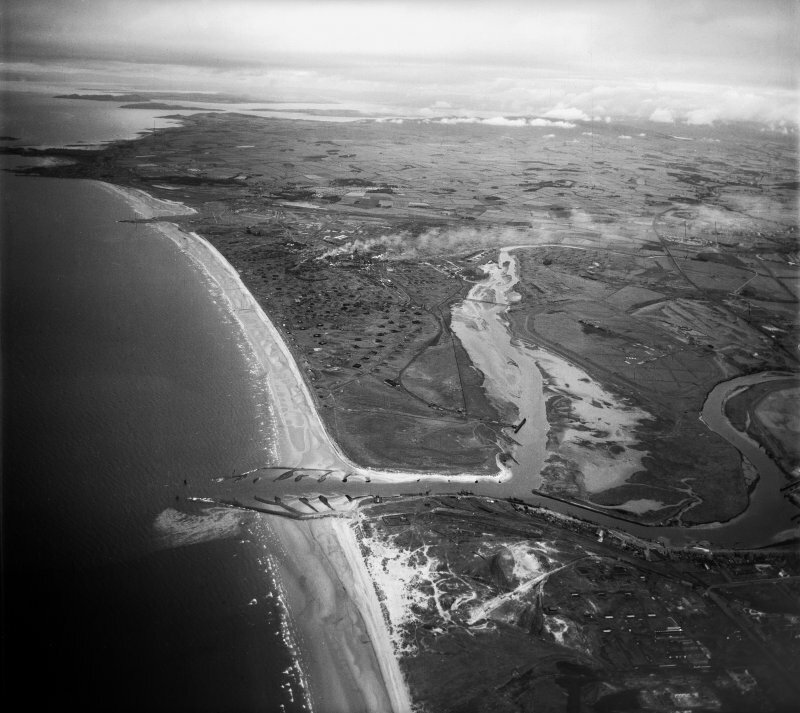 A number of groynes present along the shores of both rivers and the topography of the site suggests that earlier dredge deposition has taken place but this is now largely obscured by the late 19th / early 20th century dredging and land reclamation deposits. 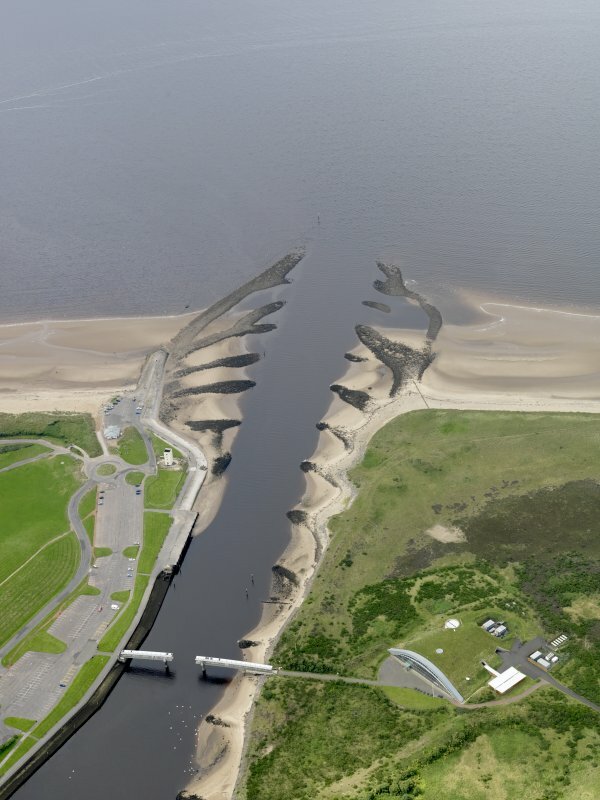 The north-east part of the site is dominated by an artificial lagoon with a sluice gate which allowed water to flood the southern part of the site which consists of mud flats and partially submerged dunes. The north west part of the site contains remains associated with the ‘Harbourmaster’s House’ shown on the First Edition OS map. It appears this building was demolished with explosives. These features are of late 19th / early 20th century date. An archaeological watching brief was carried out in October 1998 at the Big Idea development site at Ardeer, Irvine following on from a field survey and desk based assessment carried out in December 1997. Dredge deposits of laminated sands with frequent iron pan lenses were present across the site up to a maximum depth of 2m. The main dredge deposit of black waterlogged and completely saturated laminated silty sand with moderate inclusions of organic matter was on average 1.2m deep. The sluice gates associated with controlling the water flow from the main lagoon to an ancillary lagoon and part of the main lagoon’s retaining bank has been removed by the development works.